That’s the key question that you should address in your to-do list. Might sound a bit pretentious for everyday use but actually, that’s the whole point of making to-do lists. It’s not enough to write a list of tasks for the day and be happy about completing them. If only life were that easy. Have you ever wondered why some people seem to hustle all the time but still end up not achieving the results they wanted? Others, on the other hand, seem to live a more relaxed lifestyle and still somehow manage to attain their goals – in fact, people on the Forbes 30 under 30 list work no more than 60 hours per week. Well, the answer to the question is simple: it doesn’t matter what you do as long as you do it – and we’ll elaborate on that later. They are superficially written. You just jotted down all the things from the top of your head. You just needed to calm yourself down by writing all these things down. The more, the better. Writing to-do lists is magical. Actually, it’s one of the mental tricks that boost productivity – that’s why all successful people do it. The moment you have laid out 20 big goals for the day, you feel empowered. Chances are, you already enjoy imagining the sweet aftertaste when all those tasks are completed. No structure. How do people usually manage grouping to-do lists? The answer is straightforward: they don’t. Again, it’s all about writing down those urgent matters and hoping that they will be finished by the end of the day. But the most critical flaw of all old-fashioned to-do list is the lack of any long-term perspective. Think about the worries that you have right now. Deep inside, you understand perfectly well that in a month or so these concerns will not matter a bit. Still, you stack your to-do list with those little insignificant things and end up busy. If you take a look at questions people have about to-do lists, you’ll see that everyone is focused on tools. In this article in Entrepreneur, the author collected apps where you can write your tasks down – but are they really the best fix?. The most important thing is to notice the ones that matter most, and the ones, that have no weight whatsoever. What can I do today that I am going to be proud of in a year, 5, 10 years? What actions can I do that will bring me closer to where I see myself in 5 years? Chances are, you’ll realize that your big goal and those important actions have nothing at all to do with your to-do list. All the little proposals and emails do not bring you closer to the bigger goal of opening your own business or becoming a famous painter, for example. The point is, where we see ourselves in five years and where we are now, do not match. They don’t have deadlines. And that’s also why they are so easy to forget. Naturally, you think about stuff that has an expiration date and therefore, has to be completed. Those bigger, more important things that don’t have a specific due date are forgotten. These are things you don’t know how to do. The reason why you often delay your real priorities is that you don’t know where to start. Well, you are not supposed to. Just ask questions and google them – and you’ll learn as you go. You are a perfectionist in these things. Writing an email doesn’t have to be perfect, and neither does your budget proposal. A business plan for your own startup does, however. The artistic portfolio or your own novel also has to be the best. You feel the threat of being mediocre in what you absolutely want to be the best. These are tasks you don’t want to share with others. Often, you are so afraid of admitting them that you can’t even write them on a to-do list. Still, you have to do it. What to do with those little urgent tasks? Dreams don’t pay the bills, as they say. Sure, some people have their priorities perfectly correlated with specific financial goals. Most often, however, big goals require significant risks, investments, and a lot of courage. You can’t just put your life on hold waiting for your priorities to pay up. The answer is pretty simple: you don’t have to eliminate those tasks that pay your bills, keep your job, or help your family. Those everyday tasks, however, should go second on the list. Start your day by pursuing your goal and then move on to paying your bills. 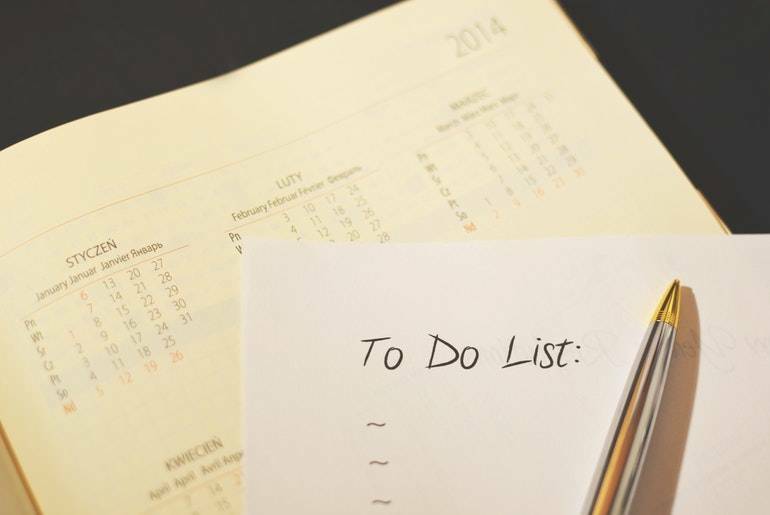 How can you change your life by prioritizing to-do lists? We’ve already touched upon the main reason for prioritizing everyday tasks. Still, let’s take a look at the outcome of the prioritizing both in long- and short-term perspectives. You’ll feel a sense of purpose. Doing small mundane tasks on a daily basis is the shortest way of falling into depression and hating your life. By doing a couple of things that actually matter, you’ll see your true potential and perhaps, wake up with a smile. You’ll become better in small things. Surprisingly, shifting focus from small tasks to a bigger goal can also have a positive impact on those small things. It might sound absurd at first but it really isn’t. When you start your day by accomplishing something important, you feel successful. As a result, you’ll start to carry this positive energy with you. The desire for procrastination will go away. If you are using to-do lists as a way of battling procrastination, you’ll notice a drastic change. When you do what you love and what corresponds with your vision of your future self, it motivates you to keep going. Suddenly, rewatching ‘Games of Thrones’ will not seem as attractive as it once did. You start to attract people with the same big goal. The problem with priorities is that we often feel alone when we daydream. When you start down the path, it feels as if you’re the only person in the world with those particular goals and problems. When you start actively pursuing your goal, however, you will find other people with similar outlooks. How to make sure these things will be accomplished? Writing a goal or planning a task is one thing, completing it is totally another. A goal such as ‘Write a business plan’ sounds really ambitious on the paper but when it’s time to do something, the ambition is lost. Lifehacker touched this point in their article about mastering to-do lists by understanding their failures – which is exactly what we are doing now. To get over this issue, let’s firstly get to the root cause of the feeling itself. People always delay goals, not because they don’t like the process itself but because they dislike the way the beginning stages make them feel. Most likely, you are feeling insecure, confused, and overly ambitious. I want my business to be the leader in its field but there is no way I can prosper in this competition. What if no one likes the way I sing? What if the movie I want to shoot will end up being just mediocre? All these doubts are crawling in your head. The best thing you can do is to write all these concerns down. Then specify the worst things that can happen if your worries come true. Chances are, it’s not as terrible as you imagine it to be. Nothing you can’t overcome. After you’ve taken care of the voices inside your head, just start working. You can also turn on the music – it helps drown the noise of your doubts. To-do lists have to reflect the person you want to be in five years. Imagine as if you already moved in time. What would a more mature version of you write on the to-do list? To define your priorities, ask yourself a question: What actions from my to-do list will bring me closer to where I want to be in five years? Start with these tasks. Write down all the worst things that can happen if you pursue your goals. Chances are, it’s not all that terrible. Outsource. If you spend a lot of time on handling emails, find a virtual assistant on sites like Upwork. If you write a lot, go to the custom writing services like Handmadewriting. Keep doing the small tasks that pay your bills, just don’t revolve your day around them. Always time your tasks on to-do lists. Put the most important tasks first. List small but important things, too. Make time for breakfast, commute, time with family – plan it all. The most important things have no deadlines and that means, you have to act now. Josh Carlyle is a writing expert at Write my essay today, who is experienced in content management and copywriting. Working at Writing Guru, Josh is aware of the latest trends in online business. He is always willing to share his knowledge and ideas and write for the blogs from the insights of a professional businessperson.